Another telling graph. 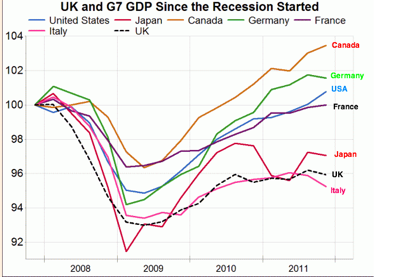 Since the crisis Britain’s economy has shrunk more than any G7 economy except Italy’s. (from Gavyn Davies in the Financial Times).